Whether implementing a new solar program, reforming the procurement process or coming together to rebuild after a disaster, this year’s winners proved 2013 was a banner year for innovation. 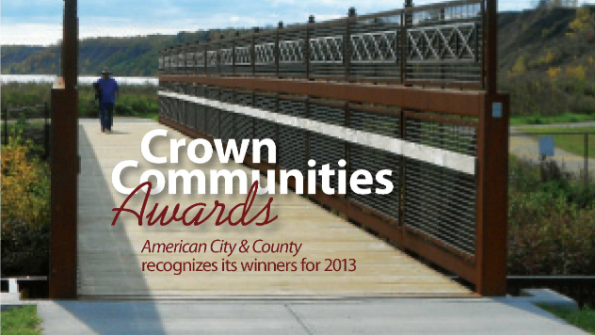 American City & County recognizes its Crown Communities for 2013. When a power plant located in historic downtown Port Washington, Wis., began moving from coal to gas power in 2002, 17 acres of property on Lake Michigan formerly used for coal storage became available for alternative uses. A partnership between plant owner We Energies, the Wisconsin Board of Commissioners of Public Lands, the Wisconsin Department of Natural Resources, the U.S. Army Corps of Engineers, the U.S. Fish and Wildlife Service and the city resulted in “Coal Dock Park,” a lakefront promenade providing recreational opportunities, docking space and access to fishing. 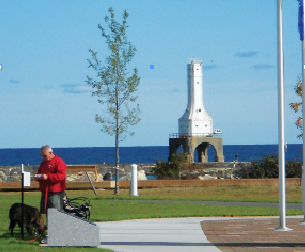 Coal Dock Park provides residents with their first public access to Lake Michigan and links to four other lakefront parks, the city’s marina, downtown and North Beach. The main park entrance is on the western boundary, providing vehicular, pedestrian and bicycle access off of the Interurban Trail. Along the southern edge of the north coal dock, a 146-foot pedestrian bridge connects the North and South docks, allowing access to a wildlife refuge founded by We Energies in 2012. Walkers, hikers, bikers, joggers, fishermen and nature lovers can take advantage of this convenient access to explore the natural beauty surrounding the lake. The popular South Beach, which became accessible in 2010, is located at the South Dock and attracts swimmers, sunbathers, walkers, joggers and kayakers. The North Dock is home to interior multi-use paths and walkways, parking and pedestrian lighting. Coal Dock Park was designed by Hitchcock Design Group and engineered by Crispell-Snyder, Inc. Construction began in September of 2012, with a grand opening held September 28, 2013. The total cost for the project was $2.2 million. 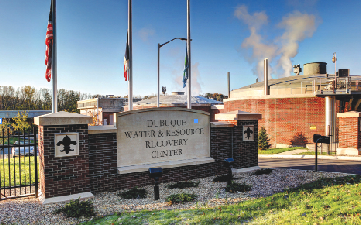 Dubuque recently completed the largest capital improvement project in its history with its new Water and Resource Recovery Center, a wastewater treatment facility. The mayor and city council began reviewing wastewater treatment method options in 2008, eventually selecting an anaerobic digestion process to replace the existing incineration method. While this option had the highest initial capital costs, it was the most sustainable when considering the long-term benefits and environmental impact. It serves nearly 23,000 households and commercial and industrial customers by treating nearly 10 million gallons of wastewater a day with the capacity to treat 40 million gallons. While Dubuque looks to the future with its sustainable wastewater treatment innovation, it is also dedicated to preserving its past. Last year the city completed the first major component of the Historic Millwork District Complete Streets Project, a revitalization of a 17-block area with 28 underutilized historic buildings housing more than one million square feet of space. The $200 million private/public investment is expected to take more than 10 years to complete and includes the reconstruction of numerous streets and installation of sidewalks, benches, bike racks and energy-efficient streetlights. A 186,000-square-foot building was the first to undergo a $30 million restoration, and now houses 72 residential units, 39,000 square feet of retail space and 20,000 square feet of space designed to foster arts, culture, nonprofit and community initiatives. The city also launched the Bee Branch Creek Restoration Project, which will reduce the risk of stormwater flood damage to 1,155 properties in one of Dubuque’s oldest neighborhoods. The $60 million project will also fund the future construction of an amphitheater, bike and hiking trails, benches, bridges and landscaping. The $19 million first phase of the project, the Lower Bee Branch Creek Restoration, was completed this past summer and included restoration of the flood plain area, the construction of two 100-foot long bridges, the reconstruction of nearly 1,900 feet of sanitary sewer and planting of nearly 500 trees. The project now attracts walkers, bikers, runners and bird watchers who enjoy the numerous migratory birds that are attracted to the detention basin. Las Vegas’ core commitment to “Build Community to Make Life Better” extends to the city’s great strides in environmental sustainability. Since 2009, the city has dedicated more than $65 million to new clean energy, water conservation, recycling, green building and alternative transportation efforts. This year, the city continued its $40 million Solar Program investment, which includes installing solar panels to produce three megawatts of electricity at its wastewater treatment plant in addition to its existing rooftop solar capacity at 30 fire stations, community centers, parks and other public facilities. 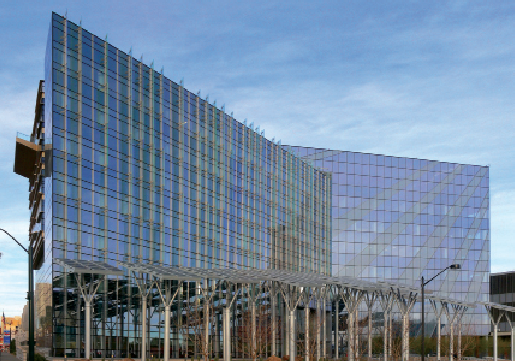 Additionally, the city’s LEED-certified Gold City Hall features 33 artificial trees with solar panels, also known as “solar trees,” that have a 145-kilowatt capacity when combined with the building’s rooftop system. With the completion of the three megawatt plant in April of this year, the city anticipates generating more than 10 million kilowatt hours annually, which will save more than $1 million in costs in addition to the nearly $5 million in savings from energy conservation projects. “I think we will eventually become the solar capital of the world,” says Marco Velotta, management analyst for Las Vegas. On Aug. 17, the city rededicated its newly renovated 60-acre Lorenzi Park, which also included some environmentally sustainable upgrades, such as photovoltaic panels on carports to help offset power consumption by ball field lights. There also is increased parking and sidewalk space, security enhancements and a play area for children. “Lorenzi Park is a community asset and a historic resource in one of the older parts of town,” Velotta says. While the city is making great strides in sustainability, it is also successfully tackling another community issue – childhood hunger. Las Vegas has partnered with Three Square Food Bank and the Clark County School District on a food initiative for children in a before-and-after school program called Safekey. After the success of a pilot program that provided light meals to children at 15 Safekey sites last year, the city council approved expanding the program to 29 additional Safekey sites that qualify for free and reduced lunch. Funded by a USDA Child and Adult Care Food Program Grant, the program serves nearly 100,000 meals to Safekey children, at no cost to the city. “[Safekey] is a demonstration of our commitment to improving the quality of life for all ranges of individuals,” Velotta says.